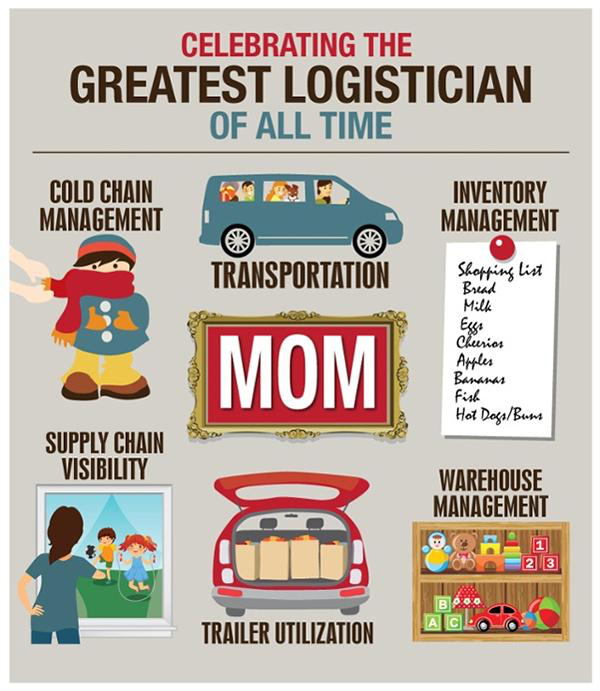 My wife often jokes that she is the VP of Supply Chain and Logistics in our family. But it’s no joke, it’s true. Whether it’s preventing out-of-stocks of critical household items or making sure the kids are delivered on time in full to wherever they need to be, she keeps our supply chain running as efficiently as possible — while doing her day job too! We celebrate moms for many reasons: for giving us life and nurturing us; for inspiring and comforting us; for their unconditional love. Happy Mother’s Day to all moms, for everything you do. Yesterday, while sitting in the back of a cab, stuck in traffic on the Mass Pike, I gazed out the window at the blue sky. A large bird, maybe a hawk, floated high above, its wings spread wide. “Enjoy the open skies, Mr. Hawk,” I thought to myself, because it might not last much longer. One day in the future, when we look up to the sky, we won’t see birds and airplanes and the occasional lost birthday balloon floating by, but a sky full of drones and flying cars. In the most far-reaching test program to date for burgeoning drone commerce, the Department of Transportation announced the selection of 10 state, local and tribal governments — in partnership with companies that include Intel Corp., Uber Technologies Inc. and Qualcomm Inc. — as social and scientific test areas. While the Transportation Department approvals were limited to 10 new test programs, the government plans to dramatically expand similar demonstrations, Earl Lawrence, the director of the agency’s drone integration office, told senators at a hearing on Tuesday. The integration program, announced last October, is designed to allow state, local and tribal governments to test more complex types of flights than are allowed under current regulations. Data will be used by the FAA to help expand drone flights and to also test how to balance national versus local government interests in the emerging industry. Tomorrow, while sitting in the back of an autonomous flying car, stuck in traffic high above the Mass Pike, I’ll gaze out the window at the concrete roads below. A large car, maybe an SUV, speeds along the open road, a child’s arm out the back window, surfing through the air. The new service offering connects nine origin terminals in China [Zhengzhou, Suzhou, Chongqing, Chengdu, Wuhan, Yiwu, Xiamen, Shenzen and Guangzhou] with eight destination cities in Europe [Melaszewicze, Hamburg, Duisburg, Milan, Tilburg, Lyon and Paris in Europe, and Barking in the UK]. “The new rail line complements our air and ocean offerings, giving customers the ultimate in flexibility. It is for freight that requires faster transit times than ocean, at twice the speed, with substantial savings over air,” said Mike Short, president, Global Forwarding at C.H. Robinson. The key takeaway here is that companies need to take a holistic and integrated approach to how they procure, plan, and execute their transportation operations. With service level requirements becoming more demanding and freight costs on the rise, the more options you have to balance cost and service, the more successful you’ll be in keeping both your customers and CFO happy. Well, it appears that Kuebix has met this challenge. The question now is how will the company leverage this growing community to drive “network effect” solutions and value? For related commentary, see Here Comes the Chief Network Effects Officer. JDA® Luminate™ Transport: Leverages enhanced real-time visibility and analytics to accurately predict disruptions to planned transportation, self-diagnose root causes to exceptions and correlate those events to impactful remediation. Over time, self-tuning mechanisms adapt solution quality to adjust to changes and prevent disruptions. JDA® Luminate™ Warehouse: Enables task optimization through AI and machine learning by bringing together actual work tasks, travel distance, task duration and completion time, coupled with real-time positioning of people, machines and inventory, resulting in balanced, prioritized and prescriptive tasks to eliminate congestion and improve completion throughput. The main takeaway is that all of the emerging technologies and buzzwords that are in the headlines today — SaaS, AI, Machine Learning, IoT — are making their way into TMS and WMS solutions (I’m surprised blockchain wasn’t tossed in too). Why? Because supply chains are becoming more complex and customer expectations around cost and service are becoming more demanding, so companies need more real-time information and more intelligent and powerful solutions to make smarter decisions faster. The main challenge, as always, is that current technology far exceeds what most companies are ready to use today. It’s like handing the keys to a Ferrari to a kid who’s still riding a bike with training wheels.